Lets in natural light you want, blocks UV rays and glare you don’t. Reduces utility costs by 15% to strengthen your bottom line. Drops your car’s interior surface temps by 29° F.
The Houston sun can be brutal, even when you’re indoors. At Solar Shade Window Tinting in Humble, Texas, we have you covered with the best in LLumar solar protection window film. With residential, commercial and automotive window tinting available, we can increase your comfort and lower your energy costs. Plus, all window tint installation is backed by a manufacturer’s lifetime warranty and our own satisfaction guarantee! Solar Shade Window Tinting, your LLumar window film dealer in Humble, Texas, is a family-owned and -operated business, serving the Houston area since 1980. We carry a full line of energy-efficient window film products, including automotive, residential and commercial window tint, that offer the ultimate in solar control, glare reduction and energy savings. In addition, we can keep your car’s exterior safer on Texas roads with paint protection film that stands up to dents, scratches and nicks. At Solar Shade, our goal is to provide every client with the highest level of customer service. We work one-on-one with you so you have a clear understanding of how window film works and so we understand your specific needs to provide you with the best solar protection solution. Why Choose Solar Shade Window Tinting? With Solar Shade Window Tinting, we can increase your comfort and safety at work, at home and on the road at an affordable cost. Give us the chance to earn your business – please contact us today for your free window tint estimate. Nothing adds life to your home more than natural light, but it’s possible to have too much of a good thing. With natural sunlight comes unwanted heat and hotspots, which can affect your comfort. Solar control residential window film from Solar Shade Window Tinting in Humble is a cost-effective improvement that makes your home more energy-efficient and more comfortable, even in the Texas heat. In addition, it reduces harmful ultraviolet rays and irritating glare – all with incredible style that complements your home design. To see how residential window tinting can add style to your home while controlling the sun, check out our LLumar residential window film visualizer. All LLumar home window film includes a limited lifetime warranty. In addition, our team is dedicated to treating your windows with the utmost care when installing your window film. However, in the event of glass breakage due to the application of our window tint, we will replace the broken glass, replace and/or repair the portion of the window frame in direct contact with the glass, and repair the window film. Please contact us for full terms and conditions regarding LLumar’s limited glass breakage warranty. Reduces hot and cold spots – Experiencing heating and cooling imbalances between sunny and shaded areas in your home? Solar control window film helps maintain consistent temperatures in every room. Lower energy costs – Residential window film blocks up to 80% of the sun’s heat in the summer and retains interior heat in the winter to reduce your energy costs by 15% – at a fraction of the cost of window replacement. UV protection – The sun’s UV rays can fade your fabrics, furniture and flooring. Even worse, they can put your family at risk of skin damage. Home window tint filters out 99% of ultraviolet rays to keep your home – and everyone inside – safe. Defense against glare – LLumar window tint reduces annoying glare by 87% so your family can play on the computer and watch TV without eye fatigue. Greater privacy – Solar control window film lets you open the drapes and blinds to enjoy the beauty of the outdoors without feeling like you’re on display. To get your free residential window tint quote, contact Solar Shade Window Tinting in Humble. Whether you’re a small business or a big corporation in Texas, you do what it takes to reduce expenses and protect your bottom line, especially when it comes to energy costs. With LLumar commercial window tint for businesses installed by Solar Shade Window Tinting of Humble, you can save significantly on energy costs, maintain a more comfortable and productive environment, and improve your building’s exterior appearance. Once installed, window film offers a big payback year after year. Use our LLumar commercial window film visualizer to see how our shade options can protect your facility from the elements. LLumar commercial window film includes a limited lifetime warranty to guard you in the event of breakage. In addition, your business may qualify for cash rebates if you install solar control window film. Increased energy efficiency – LEED-certified commercial window tint reduces solar heat gain by 75% – and that means no more budget-busting hot and cold spots. Your energy costs will drop up to 15%, and your tenants will be more comfortable. Improved productivity – Window film lets in the natural light and views employees need to be productive, but blocks 87% of the glare that can affect their computer work and comfort. UV protection – Ultraviolet rays from the sun can fade your furniture, flooring and equipment, not to mention put your tenants at risk of skin damage. By filtering 99% of UV rays, commercial film protects your contents and your occupants. Stylish appearance – Available in a variety of shades and opacities, commercial window film can complement the aesthetics of your building, creating a uniform look from every angle. Enhanced safety – Virtually invisible, yet highly durable, window film offers protection against break-ins and smash and grabs, and holds windows in place in the event of a storm to shield occupants from flying glass. Get your free commercial window tint estimate by contacting Solar Shade Window Tinting. There’s no escaping the Texas sun and heat, even when you’re behind the wheel. After just a few minutes outdoors, your car can turn into a sauna, causing you to crank your air conditioning, which reduces your fuel efficiency. LLumar automotive window film from Solar Shade Window Tinting provides relief on the road. Available in a variety of classic and trendy shades, window tinting enhances the appearance of your car while providing the ultimate in protection against harmful UV rays. Interior surface temperatures drop by up to 65% for a more comfortable drive, mile after mile. To see how LLumar window film would look on your car, try out the LLumar automotive window film visualizer. You can also learn more about LLumar’s limited lifetime warranty so you can drive assured, no matter where the road takes you. Look cool and feel even cooler with automotive window tint from Solar Shade Window Tinting in Humble, Texas. Review the window tint laws in Texas on the IWFA website. UV protection – Harmful ultraviolet rays can cause skin damage, even when you think you’re protected by your windows. Automotive window tint blocks 99% of rays for a safer, more comfortable ride. Reduced fading – With window film, you protect your leather, fabrics and other interiors from fading, cracking and peeling. Your car looks newer, longer – and that means greater resale value. Glare reduction – Glare from the sun and headlights is not only annoying, it’s dangerous. LLumar window film blocks 87% of glare so you can drive without painful eye strain. Enhanced privacy and protection – Incredibly difficult to penetrate, window film defends your car against possible break-ins and theft. In addition, it holds shattered glass in place in the event of an accident or storm. For your free estimate, please contact our automotive experts today. Your vehicle’s paint job is in jeopardy, whether your car is headed down a Houston road or sitting in your driveway. Even the tiniest of hazards, including insects, rocks, salt, sand, and hail, can cause big headaches and affect your vehicle’s resale value. Protect your prized possession with LLumar self-healing automotive paint protection film professionally installed by Solar Shade Window Tinting. Our invisible clear bra protects the most vulnerable areas of your vehicle against nicks, dents and scratches so it can look as good today as they day you drove it off the lot. All LLumar paint protection films are covered by the manufacturer’s 5-year warranty for everyday driving when installed by Solar Shade Window Tinting. Enhances your vehicle’s appearance – LLumar’s clear, high gloss finish accents your paint job, allowing your car’s true colors to shine through. Great protection – Our automotive paint protection film can be applied to your hood, bumpers, door edges, handles, steps, side-view mirrors, rocker panels, and fenders. Custom installation – Our trained experts cut the window film to your car’s specs for a perfect fit. Great look for years – LLumar self-heals when scratched and is resistant to cracks, yellowing and staining. Simple upkeep – Wash and wax your car just as you always have to keep your LLumar paint protection film looking its best for years to come. To learn more and to get your free estimate, contact our paint protection installation experts in Humble, Texas today. Whether you own or manage an office, retail outlet or apartment complex, your facility is always at risk for storm damage, vandalism and break-ins – and the most vulnerable spots on your building are your windows. Solar Shade Window Tinting in Humble, Texas offers a full line of LLumar safety & security window film, an affordable and effective way to add an extra level of protection to your business. Invisible to the naked eye, this architectural window film is extremely difficult to break through, standing up to the harshest of impacts. You can rest assured your belongings and your tenants will stay safer no matter what man or Mother Nature has in store. In addition, all LLumar safety & security window film is backed by a limited lifetime warranty for additional peace of mind, which is especially important when it comes to harsh Texas weather. Discover why business owners and facility managers in Houston and around the world depend on security window film for enhanced protection. Break-ins and thefts – Smash and grabs are a growing problem for Houston businesses. Hammers, bats and other tools are no match against LLumar’s heavy-duty polyester compound. And when a thief can’t break in quickly, they’ll move on. Graffiti and vandalism – LLumar window film provides a sacrificial layer if your windows are tagged or damaged. The tint can be removed easily, taking the graffiti along with it, eliminating the need for expensive window replacement. Flying glass – In the event of a storm, accident or man-made disaster, flying shards of glass are one of the most dangerous results. Safety & security film holds windows in place to reduce further injury. If you like what you see, contact Solar Shade Window Tinting for your window film quote. When you have an interior design challenge or want to add your own creative spin to a retrofit or new construction project, iLLusions decorative window film from Solar Shade Window Tinting offers eye-catching options that are limited only by your imagination. Available in more than 50 styles and finishes, this cutting-edge window film meets any design aesthetic. From adding privacy to conference rooms or offices to dressing up a retail window display, the opportunities to use iLLusions to your advantage are endless. It’s no wonder Houston architects, interior designers and homeowners alike have made Solar Shade Window Tinting their style go-to. Sneak a peek at how iLLusions would look on your next interior design project with our decorative window film visualizer. Fifty chic options in stock – At just a fraction of the cost of etched glass, iLLusions is available in frosts, gradients, patterns, and textures. Plus, with a variety of opacities and colors available, there’s a decorative film for any project. Flexibility – iLLusions just isn’t for windows – it can be used on glass cabinets, tables, partitions, showers, and other elements of your facility that need additional privacy or a pop of color. Matches your tastes – Because iLLusions is incredibly affordable and can be easily removed and replaced by the decorative window film experts at Solar Shade Window Tinting, you can change styles as your tastes change. Lifetime warranty – iLLusions is backed by LLumar’s limited lifetime warranty so your design can look spectacular for years to come. contact the design experts at Solar Shade Window Tinting in Humble, Texas. Take the next step toward greater comfort, lower energy bills and enhanced style. Get your free residential, commercial or automotive window film quote from Solar Shade Window Tinting, your LLumar window tinting dealer for Houston, Texas. We can help you find the ideal window film solution for your budget and expertly install it on your timeline – backed by the LLumar manufacturer limited lifetime warranty and our own 100% satisfaction guarantee. 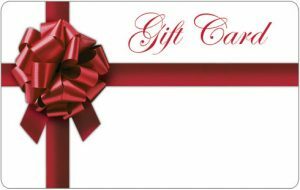 Buy a $100 gift certificate and get $10 free.